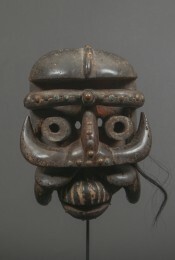 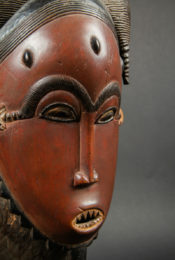 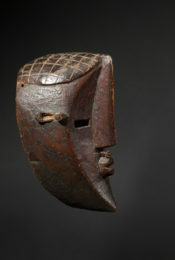 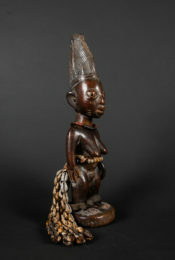 The Mbede (also called Ambete or Mbété) people live on the border of the Democratic Republic of Congo and Gabon. 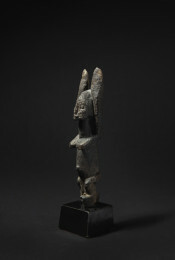 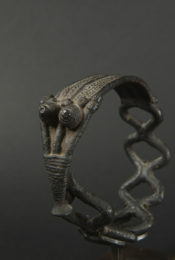 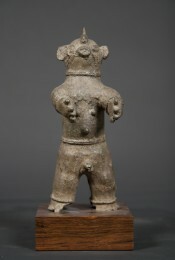 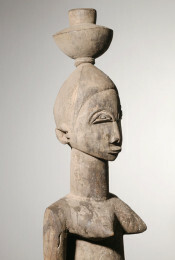 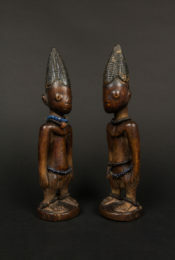 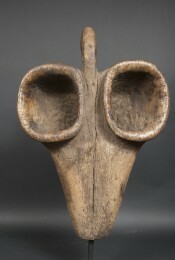 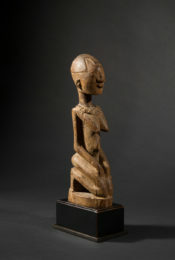 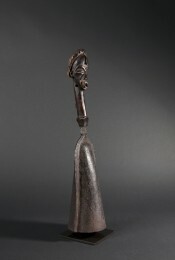 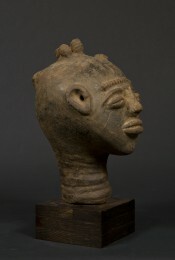 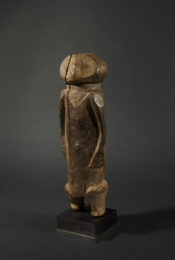 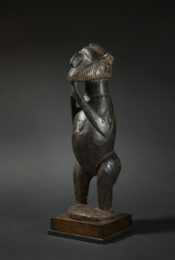 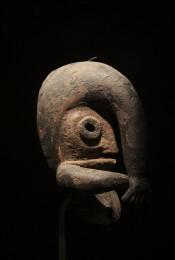 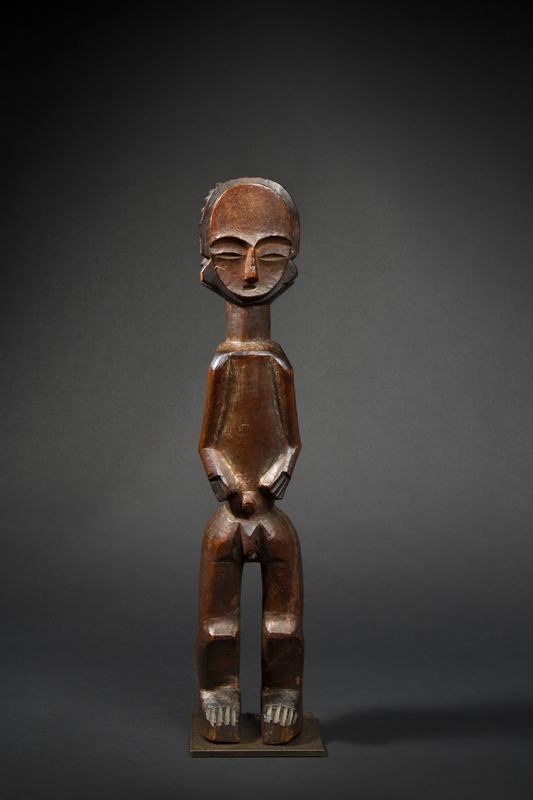 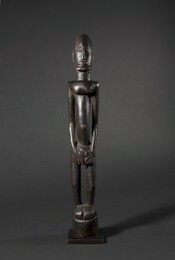 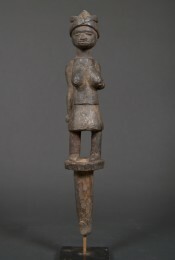 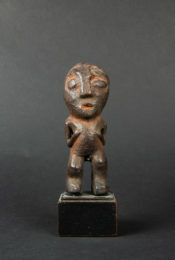 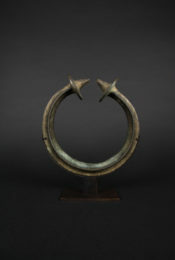 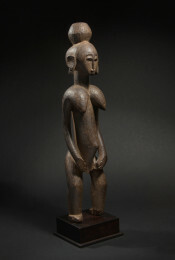 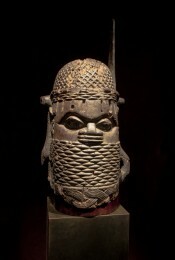 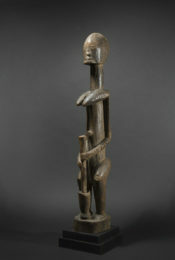 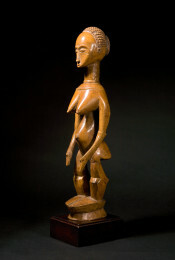 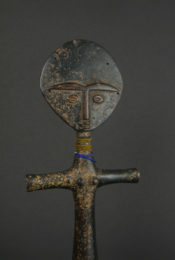 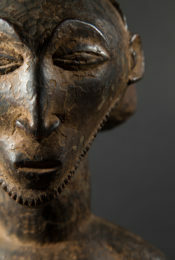 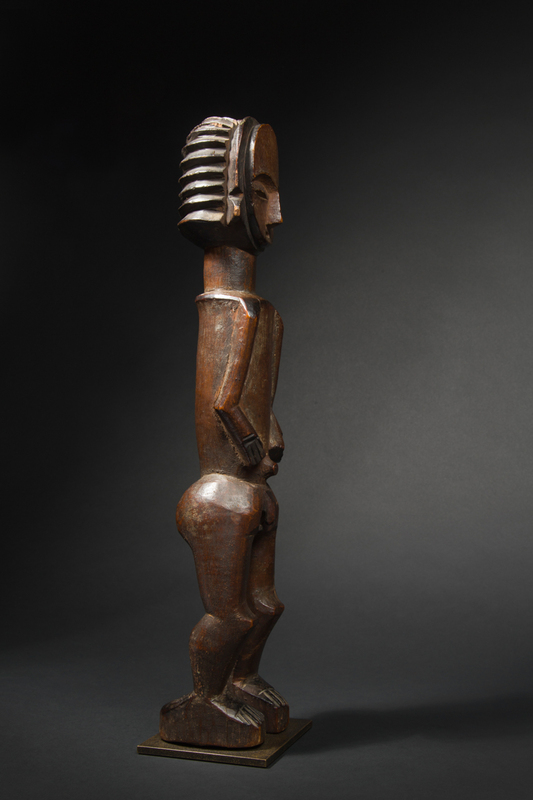 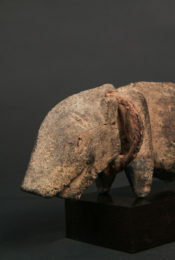 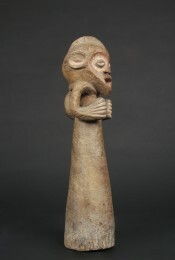 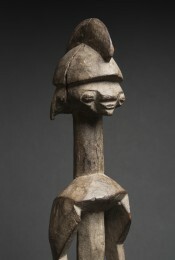 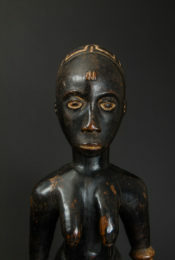 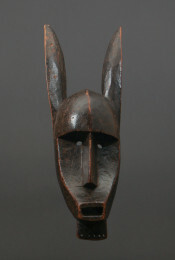 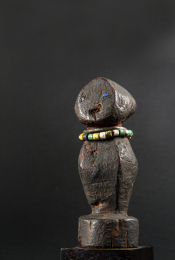 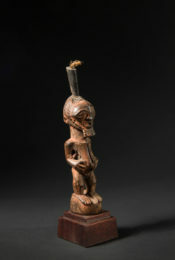 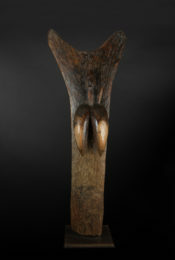 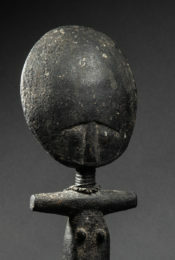 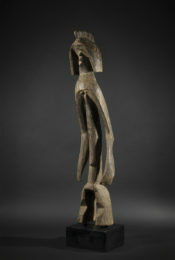 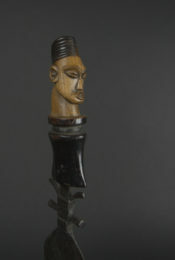 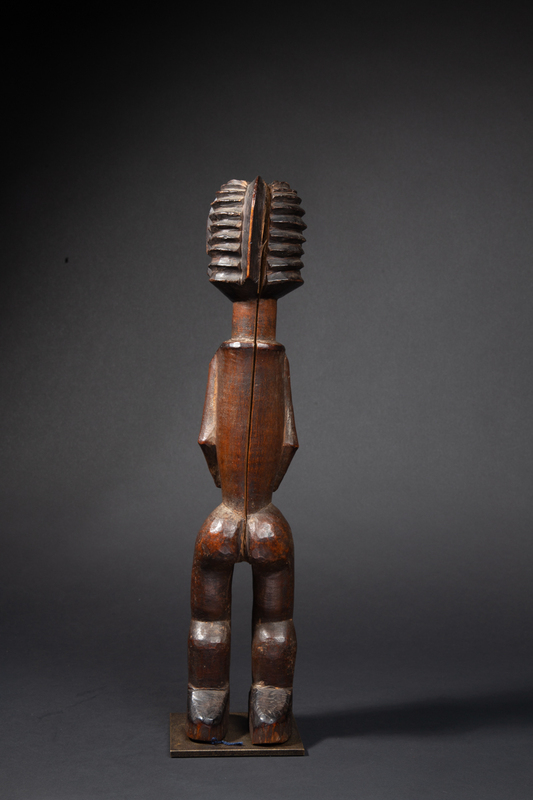 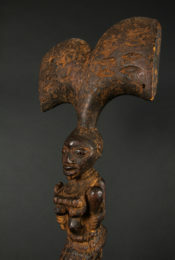 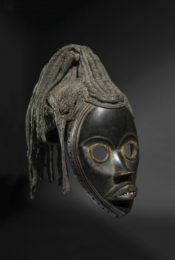 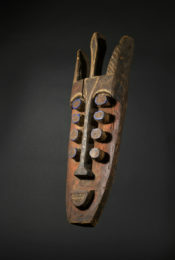 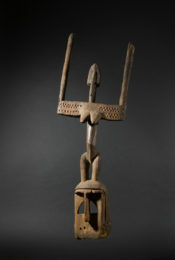 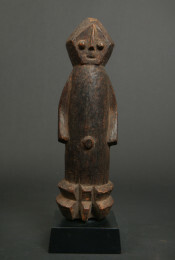 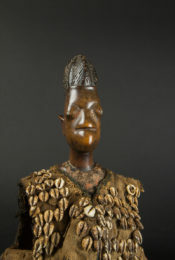 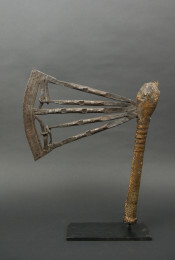 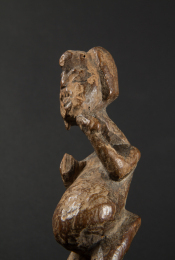 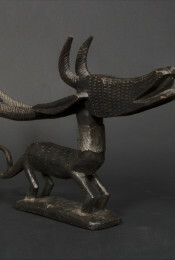 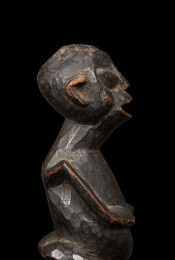 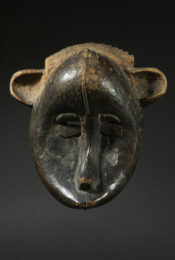 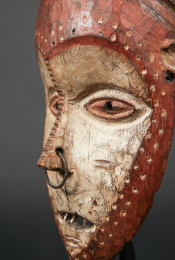 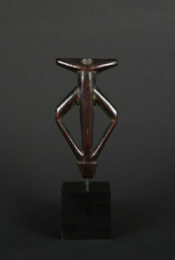 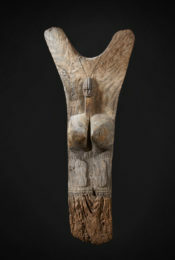 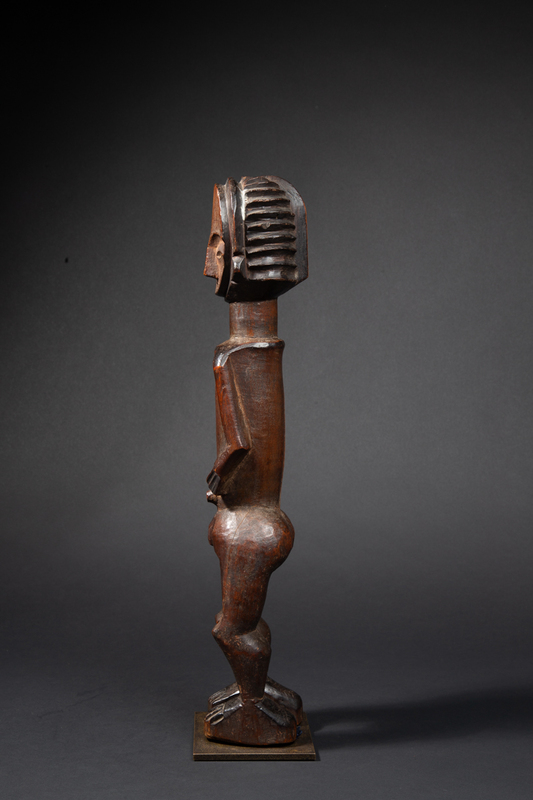 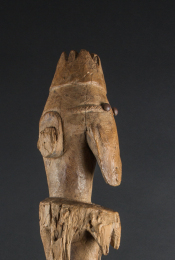 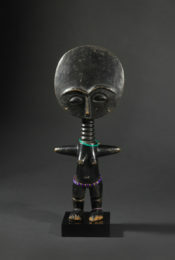 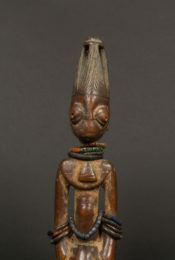 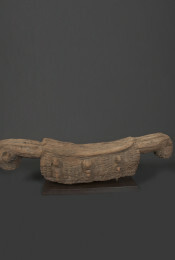 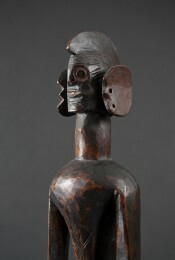 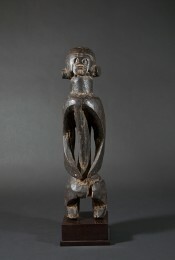 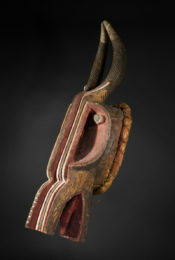 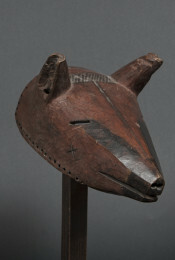 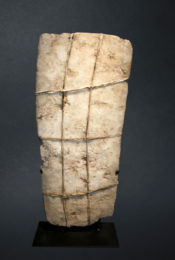 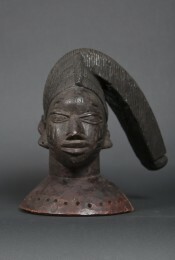 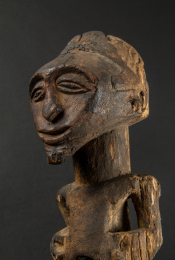 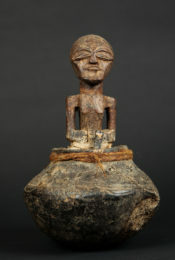 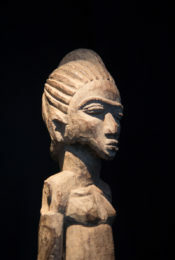 Celebrated for their reliquary statues with a dorsal cavity, the Mbede also used male and female statues. 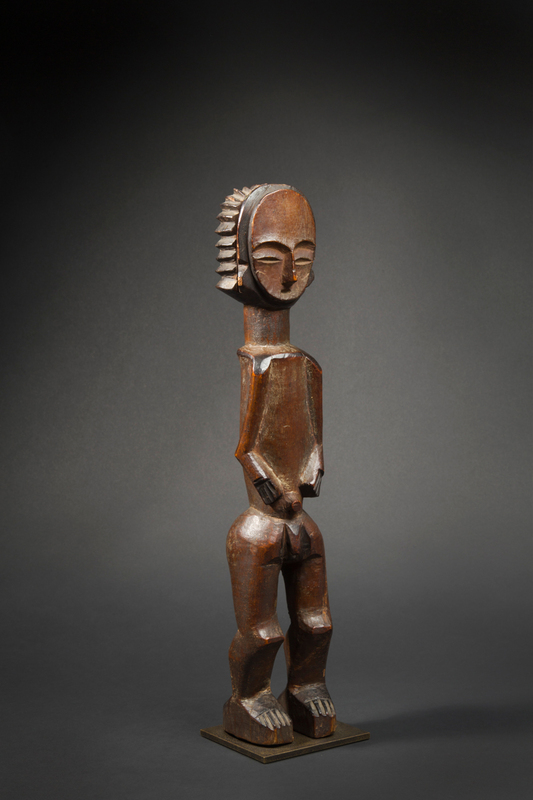 Our example is stylistically close to a couple of figures formerly in the collection of Anatole France and later sold by Sotheby's New York in 2002. 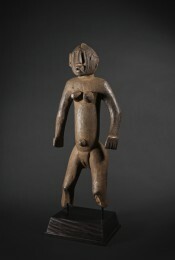 The figure shown here was part of the collection of painter Maurice de Vlaminck, a pioneer / giant of modern art in the 20th century. 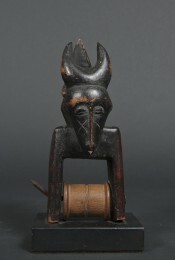 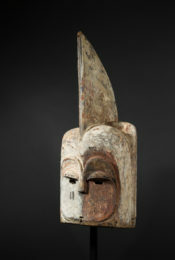 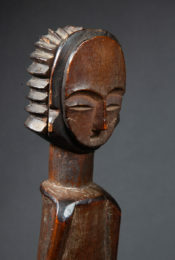 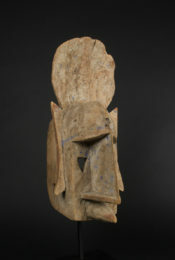 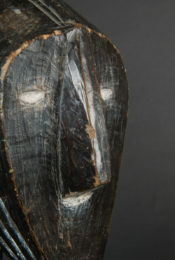 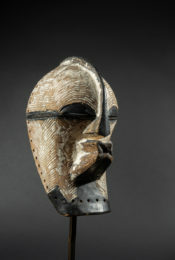 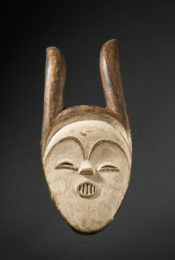 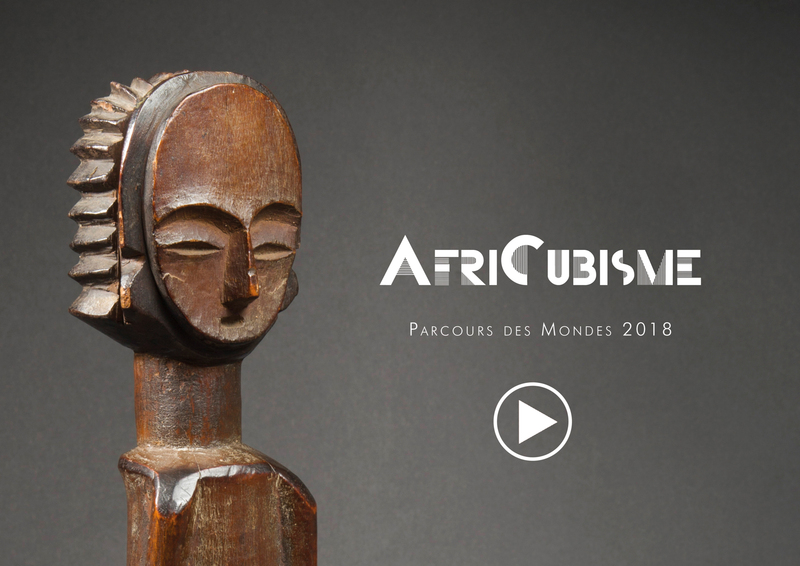 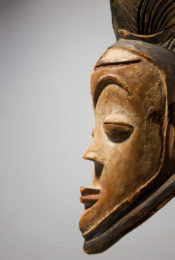 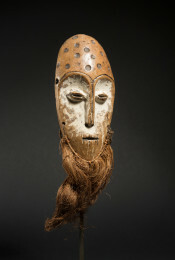 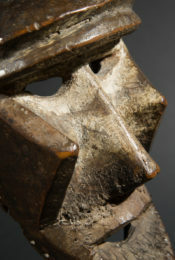 It was in Vlaminck's studio that Pablo Picasso saw his first example of an African mask in 1906.